Pancakes are one of my favourite memories of childhood. 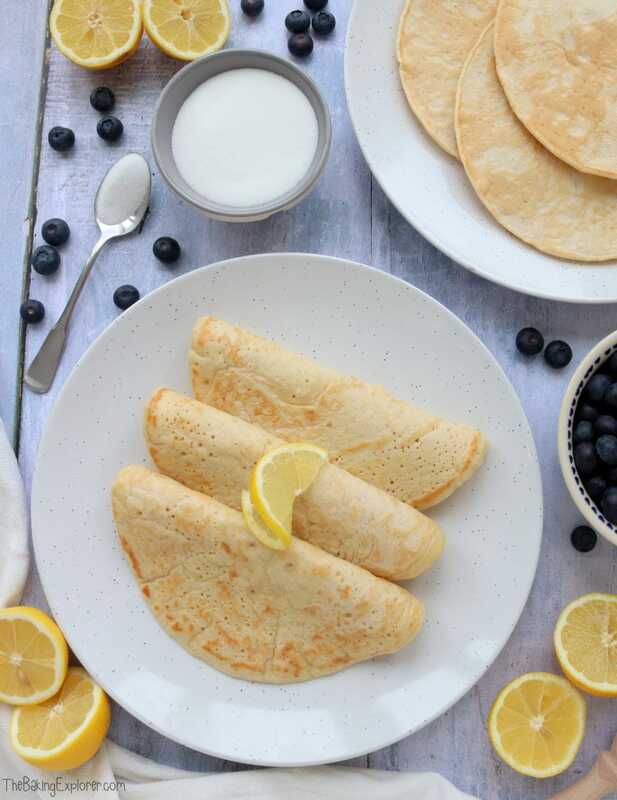 My mum made them every year for Shrove Tuesday – or as you may know it Pancake Day! She used an old Be-Ro recipe book for the recipe that was handed down from my grandmother. I’ve modernised the recipe by changing it from ounces to grams and I’ve also added some sugar to create these delicious Traditional English Pancakes. 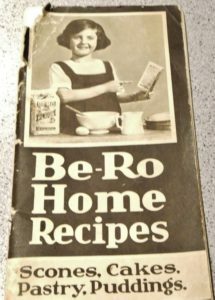 Be-Ro (originally called Bells-Royal) is one of the first popular brands of self-raising flour in the North of England. Plain flour was most commonly used, until the 1920s when Be-Ro used these recipe books to market the product and show how useful self-raising flour was. The recipe books helped the brand to become famous and are still being produced now, with the 41st edition published August 2011. The edition I used is their 19th edition and was published in 1956. The entire book is in black and white, including all the photos. Nothing like the recipe books today! The book is full of some brilliantly old school tips and phrases, such as “The woman who can cook well and bake well has every reason and every right to be proud of her cooking” – something which is definitely still true today! And for men too! To make the batter I weighed out the flour and sugar in a bowl, then whisked in the eggs. 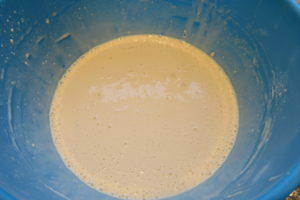 Then I added the milk slowly and whisked until a smooth batter formed. 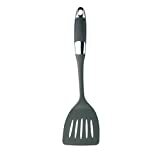 I heated up a frying pan and before cooking each pancake I put a spritz of oil in the pan. 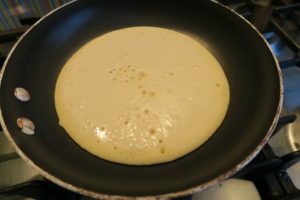 I measured the batter out using a ladle, and cooked it for a few minutes until bubbles formed on the surface. Then I cooked it for a few more minutes on the other side. 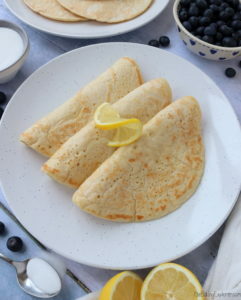 I served the Traditional English Pancakes warm with classic lemon and sugar. I also really love blueberries with pancakes! Really you can serve anything you like with these pancakes, from fresh fruit like strawberries with whipped cream, or warm some Nutella and drizzle it over and top with ice cream! 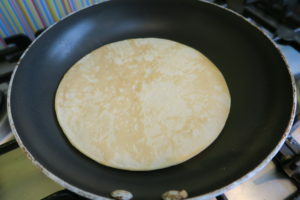 You can also even go savoury and add melted cheese, just omit the sugar from the batter if you’re going for a savoury pancake feast. Serve immediately with a good squeeze of lemon juice, a generous sprinkling or sugar and fresh fruit like blueberries too if you like! Wow I didn't know you could make cannelloni with pancakes! I will have to try that out. It sounds pretty tasty! Would love if you could send me the recipe! Ah what great sounding pancakes! I have always been dubious about savoury pancakes but am planning to try some out next week. I also have a hand-me-down copy of the Be-Ro cookbook inherited from my Granny that I use all the time (including the notes she has pencilled in!). OMG I have that book! 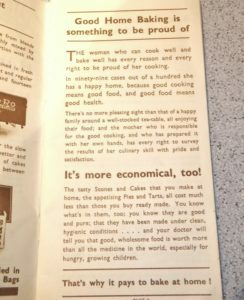 I inherited my Grandma's cookbooks and this was one of them. I love the old school phrases in it, too! Awh that's brilliant! Have you used it yet? I had a clear out quite a few years ago and got rid of all my old recipe books – how I regret doing that now. There is so much nostalgia attached to the older books especially if they have been passed down to you. Lovely post. Oh that's a shame, but now you can start a new collection to pass onto your children! hiya, your pancakes look yum! my fave is the toffee +icecream. Just had a look at your blog, keep up the good work! They were all so yummy 🙂 ice cream is so good on them. My nan had one of those Be-Ro books! She made the best puff pastry ever. Brings back memories seeing it again 🙂 Your pancakes are perfect and the toppings look fab…the ice cream and toffee sauce…yum!! 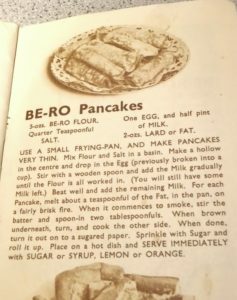 A great recipe for pancakes…and I love the Be-Ro book! I'm definitely a sweet pancake person, my filling of choice is lemon juice, sugar, golden syrup and sultanas…excessive I know! 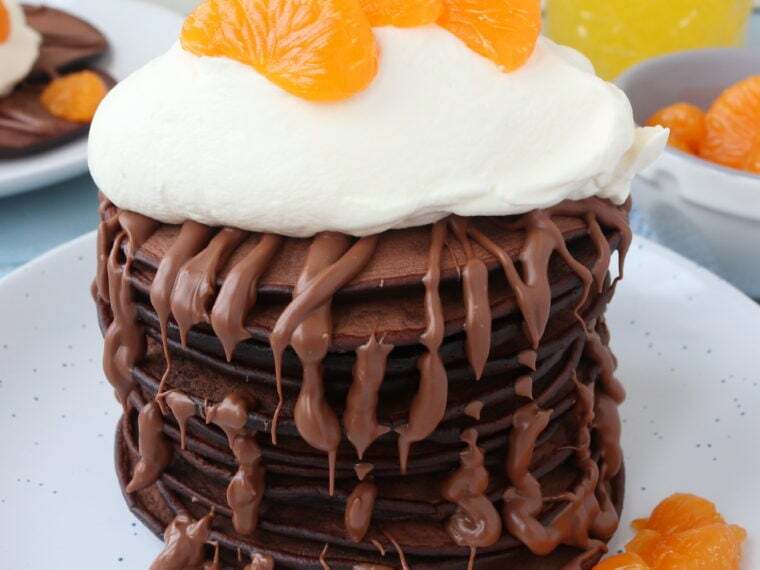 😉 Your pancakes are making me hungry…I'm all ready for Tuesday now! That sounds delicious! I forgot to have a golden syrup pancake, got so distracted by the chocolate spread and bananas! Enjoy your pancake feast on Tuesday! That's amazing that you have both the old and new generations of books 🙂 I bet is in interesting to compare the different wording and phrases. These look delicious, I’d have them for dessert, with lots of lemon juice!